“Are you ready for revival?” Preashea Hilliard asks the live recording audience at New Light Church in Houston, Texas. The Glory Experience album is, for all intents, a portable worship service. 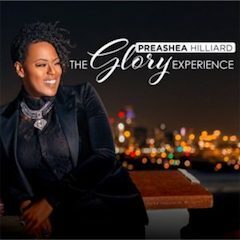 It’s a collection of Praise & Worship songs with uncomplicated lyrics and simple melodies drawn from Hilliard’s own pen as well as from those of several other songwriters, such as Tasha Cobbs, Jonas Myrin and Matt Redman and David Binion of Covenant Worship. The album is also more nuanced than her 2011 Live Out Loud, which concentrated on thunderous and energetic praise music. Two components distinguish this P&W album from so many others like it. First, it opens not with the almost compulsory aerobic “put your hands together” worship workout but the achingly beautiful “Isaiah 40 Intro.” This reflective ballad comforts its people by embracing them with sweet strings and a reverent tone. It is the best track on the album and doesn’t need the “intro” moniker—it is a standalone selection. Another album highlight is producer Eric King Jr.’s immense “Yes, Our God Still Reigns.” It sets in song what Hilliard declares in the reprise to “No God Like Our God”: putting praises to work in your life can produce blessings. Hilliard’s vocal instrument is expressive but not histrionic. She soothes and caresses her message across. The musicians and background vocalists do a superb job accompanying her; drummer Josh Mayfield in particular is out of this world. The Glory Experience, with its oversize packaging and pullout poster with Biblical references to each song, is an album of P&W that will appeal to those who enjoy P&W as well as to those who, like me, prefer more spirited sacred music. 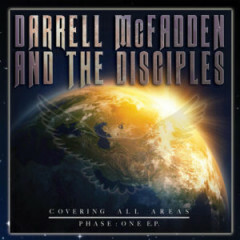 This five-track EP by Brooklyn quartet Darrell McFadden & the Disciples may not, as its title suggests, cover all areas, at least in terms of musical styles. What it does, however, is uplift the traditional sound in some instances and modernize it in others, and that’s good enough for me. Name checking another beloved Brooklyn group, Big Nick and the Gospel Heavyweights, the quartet covers the latter’s “Come On and See About Me,” complete with a slow strutting rhythm and acknowledged “good hot quartet singing.” The Disciples follow that up with another trad sparkplug, “Lord You’ve Sure Been Good to Me,” which features shouting and exclamations straight outta church. McFadden and the Disciples also modernize the old school sound by dressing it up with heavier bass, keyboards and the kind of complex drumming popular with choirs and small groups. “When He Calls Me” soaks the “When he calls me, I will answer” trope in a sweat-stained funk. “We Shall See Him,” on which the group harmonizes about the day when all will be made whole, feels like an old hymn made new. Buoyed by cool harmonies, “God Will Provide” is about growing up in a churchgoing family but not understanding the importance of salvation until later. With Covering All Areas: Phase One, quartet enthusiasts will be eager to hear the next two EPs leading up to the deluxe CD of the series. Treva Jones wasn’t taking any chances when she assembled I Am Praise—The Project. The Houston, Texas, resident packed her latest release with some of gospel music’s finest singers, songwriters and producers. She also took her time to put it together—-three years to be exact—-with the 2014 release of the I Am Praise EP but a preview of things to come. With songs written by V. Michael McKay, Margaret Douroux, and the late O’Landa Draper; with San Franklin Jackson and Mark Kibble (Take 6) as background vocalists; and Sanchez Harley and Jacqui Whittmon as producers, how can you go wrong? And Treva Jones doesn’t. She wraps her alto, resonant with wisdom and church-honed pacing, around a selection of ten classic gospels and new compositions. Her sweet spot is the church ballad. 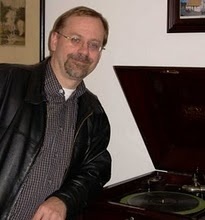 “He’s Still Working on Me” is an example, as is “God Has It All in Control,” co-written by Draper, on which the BGVs attack the lyrics with the precision and barely-contained fervor of the late choir director’s own Associates. 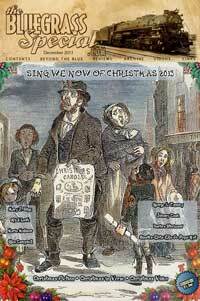 Jones also covers Douroux’s “Give Me a Clean Heart,” popularized by the Southern California Community Choir. She turns the gospel hymn “Since Jesus Came Into My Heart” into a handclapper. “There’s a Blessing” also has a traditional punch to it. 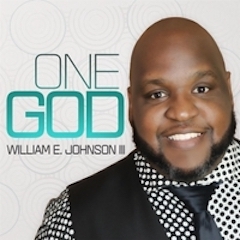 Throughout the album, Jones presents classic themes of faith, hope, and encouragement, and that nothing on earth can gain victory over your life as long as God is on your side. The overall sound is brassy and smooth jazzy when it is not rooted in traditional gospel. Ironically, the album’s least compelling selection is the single, “Praise His Name.” It’s a simple praise song with an island beat, the kind especially popular among gospel singers in the U.K., and somewhat popular on U.S. gospel radio. What was once a clever and catchy novelty has become too commonplace. Nevertheless, there’s so much more of interest on the album that it’s a minor point. 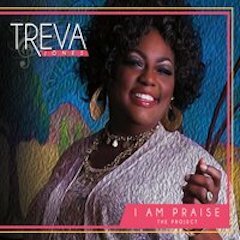 See my review of Treva Jones’s I Am Praise EP here. On Fisherman, their six-track EP, Detroit quartet Favour is all about getting you ready…for your blessings, for a miracle and for the day Jesus returns. Favour is a sweet-singing quartet with the smoothness of Atlantic Starr and the Manhattans, though Shawn Upshaw’s lead vocal incorporates traditional gospel techniques. So do the lyrics, which fit squarely in the quartet mode of preaching, teaching, and in Favour’s case, preparing. Indeed, two songs telegraph preparation in their titles: “Better Be Ready” and “Things are Gonna Happen.” And in “How I Know,” the group sings that the miracles of the Bible days can still happen today, and it can happen to you, so be on the lookout. “Things Are Gonna Happen” encourages listeners to keep the possibility of miracles top of mind as a balm against the onslaught of today’s tragedies. The title track sets the group’s Soul Train-sweet mood from the start. Jesus makes his disciples fishers of men in “Fisherman,” and, by extension, anyone seeking discipleship today. 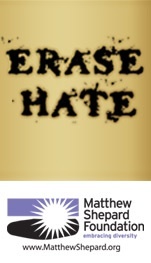 But following Christ, sings Favour, means adopting Christian values of love, not hate. 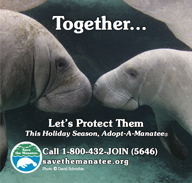 We need to live, not kill. Group manager, songwriter, arranger and baritone Byron Brown gives the EP a crisp production, though it would have been even better with less electronic drums and synth, which at times take away from the serenity of the harmonies. It would be fascinating to hear Favour sing a cappella. 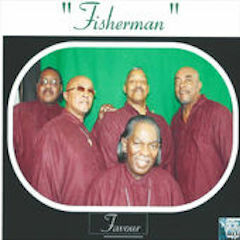 The group, which formed just a few years ago, consists of Brown, Upshaw, William Banks and Jimmie Blee Palmer, with Derrick Maclin on bass guitar. 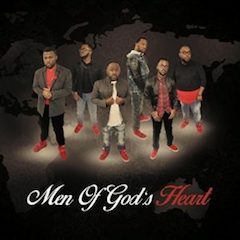 Men of God’s Heart is a six-member contemporary quartet that can easily draw comparisons to the Rance Allen Group, the Mighty Clouds of Joy and the Winans. In fact, on “Wilderness,” a track on their self-titled album, the group pays tribute to the Winans, suggesting that the Detroiters are direct influences on the Columbus, Ohio, male vocal group. When it is not giving outright gratitude to God, the album emphasizes the urgency of salvation. On “Signs,” Men of God’s Heart alerts the listener that poverty, disease, and even snow in spring are signs of the judgement. The singers call on Christians to “work while it is day” (“Work”) so lost souls can experience a “divine do-over” that frees them from their past and offers a path on which they can enter a new life plan (“Jubilee”). “Pain,” one of group member Oscar Stone’s several compositions on the album, is the most interesting track. It draws a persuasive parallel between the love of a father who works through physical pain to provide for his family to Jesus’s painful dying on the cross to express the ultimate love for his people. Men of God’s Heart, the album and the group, draws sufficiently well from both traditional and contemporary formats to appeal to both old- and new-schoolers equally.